Gear up, heroes, because Blizzard is bringing a whole bunch of new cosmetic goodies to Overwatch. 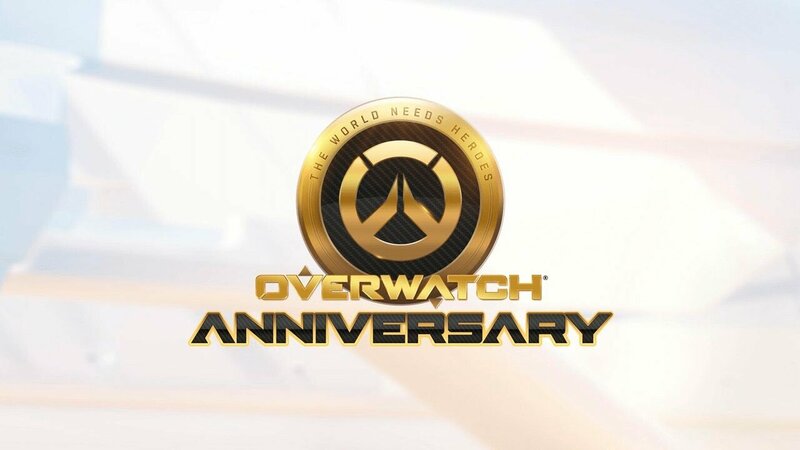 In preparation for next week’s Overwatch Anniversary event, international Overwatch social media has been teasing new character skins, voice lines, emotes, and even arena maps that will hit the live servers on May 23rd. To kick things off, the European Overwatch twitter account posted a short video teasing some of the new Arena maps that will be coming to the game. Arena maps are smaller than the main game maps, and are designed for the 1v1, 3v3, and special event game modes. Something interesting about these maps is how well they align with the lore; in one, Sombra’s room (as seen in her Origin video) is clearly shown, and another showcases what may be the Anubis Facility that Pharah infiltrated with her team in her tie-in comic, Mission Statement. 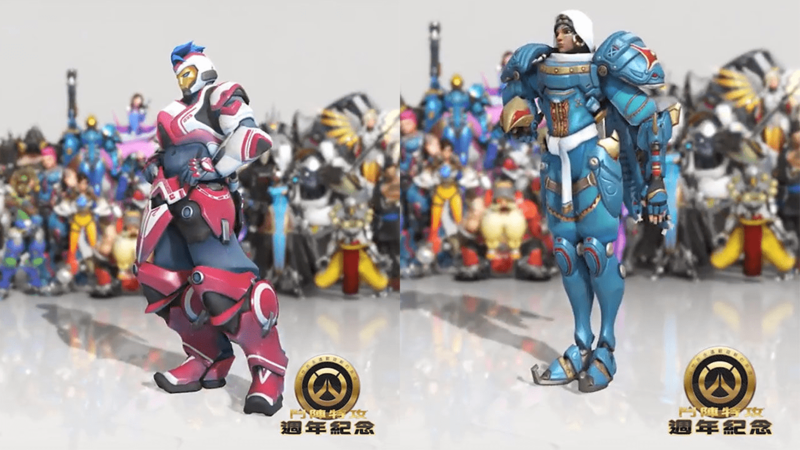 Next up is a small preview of some of the new Legendary skins posted by the Chinese Overwatch facebook page. The new skins previewed are for Bastion, Pharah, Soldier: 76, and Zarya. The North American Overwatch Twitter account has also posted a short video teasing some of the new voice lines that will be a part of the event. A few of them reference popular Overwatch memes, such as the popular “Dad76” and Symmetra’s “carwash”, which is also referenced in one of her in-game achievements. Finishing off the in-game cosmetic teasing explosion, the Latin American Overwatch facebook page posted a video showcasing some dancing emotes for Sombra, Symmetra, Lucio and Zenyatta. Blizzard has also announced a special, European-led livestream that will feature many popular European Overwatch content creators. The livestream is set to start on May 24th at 4 a.m. EST, and end approximately at 2 p.m. EST. Launching on May 24th, 2016, Overwatch is one of the fastest growing eSports titles with over 25 million players logged into its servers. With an incredibly diverse cast and simple, yet hard to master gameplay, it’s no question why Overwatch has gotten so popular over the past year. You can check out CGM’s review of the game right here.